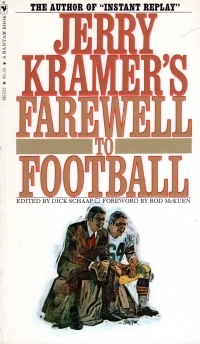 This book comes fifteen years after A Farewell to Football and details the first reunion of the Super Bowl I Packers in Green Bay. Kramer discusses what each player at the reunion has done since his football days ended. It’s a wide variety of stories: Max McGee founded the ChiChi’s restaurant chain and then cashed out for $18 million. A couple players went onto other teams, but never had anything like the Packers even if they won Super Bowls with other teams (and many did; the league was smaller then). Some have beaten cancer. Many are on their second wives (including Kramer), which is strange, because those of us latchkey kids from the 1980s thought our parents invented divorce. It’s chock full of some good trivia, including the first player to play for both the NFL and Major League Baseball (Tom Brown, not Deion Sanders or Bo Jackson) and the first player to play in a Super Bowl and to coach a team in the Super Bowl (Forrest Gregg). The tone of the book kind of makes you feel a little sympathy for Kramer, though. His optimism from his previous book seems a little forced in this book, and he does seem a little envious of those who have done better than he did since he mentions their net worth a lot. He’s not unconscious of the scorekeeping though, and he’s not done bad for himself, but he’s a six-hundred-acre guy (the size of his ranch) and knows although some people are sixty-acre-guys, a couple are six-hundred-thousand acre guys. And it rankles a bit. So it’s a bit of a melancholy read being a retrospective of sorts and because it comes right on the heels of the previous book. That fifteen years vanishes instantly. And fifteen years after they stopped playing, all of these guys are a little older than I am and they’re far ahead of me in Krameresque scorekeeping. But in 1985, none of them had blogs with ten years of archives generating dozens of Google search hits a day and twenty cents annually in ad revenue. WHO’S WINNING THE 21st CENTURY? ME! 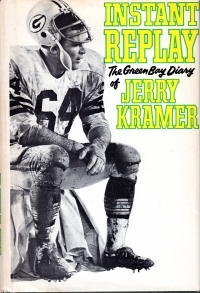 Jerry Kramer wrote this book a little more than a year after Instant Replay. The year after that book, the first year after Lombardi (who retires from coaching at the end of Instant Replay), the Packers cratered and lost more games than they won. Kramer’s Instant Replay became a best seller and he was quite in demand as a speaker and television guest. So he decided to give up playing football and to be a businessman since he has quite a few irons in the fire already. So this book is a bit musing along those lines and a bit more detailed biography than Instant Replay. It doesn’t hold together quite as well as the first book as it had a unifying theme, and this one does not as much. It also might have been rushed out to capitalize on the success of Instant Replay. At any rate, as I was reading it, I couldn’t help but wonder if Kramer’s optimism in his post-football life and business dealings were a bit optimistic. I wondered whether a lot of deals and opportunities came his way simply because he was a champion professional football player. I was pleased to see toward the end of the book that Kramer himself acknowledged this doubt. So it’s not as good as Instant Replay, but it’s a pretty quick and easy read. The books might also explain why Jerry Kramer is not in the football Hall of Fame: both of these books have a perspective about playing football that the industry might not want expressed. Kramer sees football as a job that he knows will end someday and, honestly, might not be the job he focused on in his last years in football. That might have stung some of the league officialdom at the time who might have wanted more focus on football, if not exclusive focus on football. Oh, how they might wish nowadays that the outside life of football players merely included business deals and hunting instead of lawbreaking. It’s been eleven years since I read this book. I remember I took it with me over a long weekend that my beautiful bride and I took to Kansas City. Funny what happens in eleven years. Now I remember well the name of the book store in Springfield since I pass it several times a week. But I probably only go into it as frequently as I did back when it was a pilgrimage when we went to Springfield. 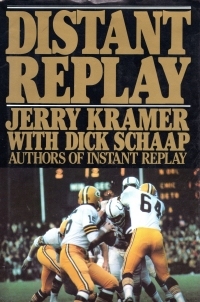 At any rate, this report is going to be a lot like the first one: Jerry Kramer was the left guard for the Packers in the 1960s, and the year captured in this book is the run up to the third consecutive NFL championship and second Super Bowl (although the coach, Vince Lombardi, is more concerned with the former than the latter). Kramer talks about his aging in the game, about the mechanics, techniques, and preparations involved in the game, and his outside interests and investments. It’s a pretty loose and readable style and it carries you along even if you don’t know football or the historical nature of the season. Actually, this report is going to be a lot shorter than the other because I’m just going to summarize the book and direct you to that earlier report for more depth. I picked up this copy of the book because it had the dust jacket, unlike my other copy, and I got it with a couple of other Kramer books. So expect a couple other reviews of his works during football season interspersed among the picture books. Aaron Rodgers is almost certainly going to win his second most-valuable-player award this season. With a remarkable 38-to-5 touchdown-to-interception ratio, he has been the best quarterback in football. His Green Bay Packers offense is one of the most well-orchestrated in the league. Rodgers is, by all accounts, perfect. And then there are his jokes. The only time Rodgers isn’t on the same page with his teammates is when he is telling jokes. Rodgers’s attempts at humor are so layered and dry, those who know him say, that the only thing more common than a playbook in the Packers’ locker room is the clueless comment, Is he joking? I know the feeling. I make a lot of jokes, often without a smile to indicate they’re jokes. A lot of time, they require a bit of obscure knowledge or learning to understand them. And sometimes when I make a joke, one person in the room laughs. Which makes it all worthwhile. Rodgers’s jokes, teammates say, are almost entirely for his own entertainment. This is the one of three books I got this Christmas, and it’s the first I “read.” I put that in quotation marks because it’s a picture book, or at least a book of pictures with captions. It chronicles the history of the Green Bay Packers and the different eras within the organization and serves as well as a bit of history of the NFL. If you’ve been a recent (relatively) active Packers fan (as opposed to a dormant Packers fan, which is someone born in Wisconsin or the UP of Michigan who does not follow football), you know of the names Lambeau, Hornung, Hutson, and so on. This book puts faces to the names and puts the names in their appropriate historical context. Also, it’s a book you can skim in three hours while watching a Packers game. As nature intended it! Right now, my beautiful wife is watching the live news conference where Packers coach Mike McCarthy talks about bringing back Brett Favre. UPDATE: I mean to say she sat and watched ESPN news for a half hour waiting for the press conference. Trade him to Atlanta for a couple of Michael Vick’s rescued dogs. They’ll be more loyal and less fickle. Send him to a CFL team, an outdoor one if there’s one available, and let him play in the cold all the time. Ever since he didn’t file his retirement papers, I thought he wanted a trade. How quickly can I turn on a favorite player? Less quickly than he can turn on his fans. You can go somewhere else, Favre, but you won’t be the Brett Favre you were in Green Bay. You’ll be a rented journeyman quarterback. Kendall County furniture store owner and “huge Bears fan” Randy Gonigam got tired of players bragging about their defense, so he decided to put his money where their mouths are. Over Labor Day weekend, Gonigam’s World Furniture Mall in Plano offered customers free furniture – up to $10,000 – if the Bears shut out the Green Bay Packers in their season opener. Four quarters, 206 customers and about $300,000 later, Gonigam is still a little shell-shocked. Let the conspiracy rumors begin: Mike McCarthy threw the game for a nice bedroom set. 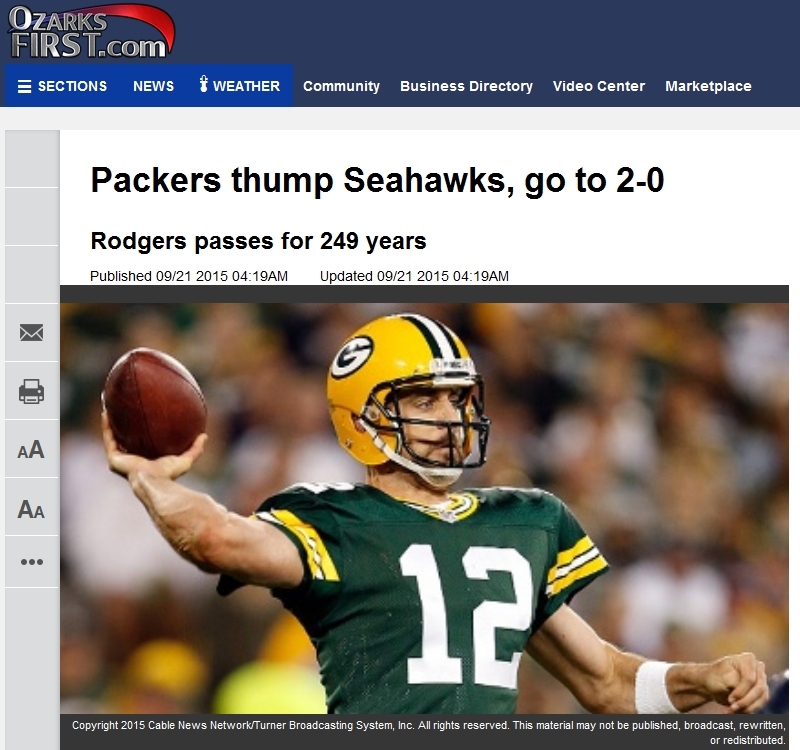 The Green Bay Packers aren’t peaking too early. So What Kind Of Nickname Does He Get? The Green Bay Packers signed sixth-round pick Johnny Jolly on Friday. The 6-foot-3, 317-pound defensive tackle earned All-Big 12 honors in his junior and senior years at Texas A&M. If it were hockey, they’d call him “Joller” or something. Hotel rooms are booked as far away as Oshkosh. Green Bay has begun closing some roads for safety’s sake. As of 11:00 am, the tailgating has begun in the parking lots. If you cannot make the game, rest assured it will be on television this evening. Well, not just a srimmage. A Packers scrimmage. Hardin, 45, a financial adviser in Kenosha, is a season ticket holder, and he gave his playoff tickets to the Foppianos. After a busy two days of phone calls to Christine, the Packers’ front office, and his father – who donated his frequent flier miles – Hardin had pulled it off. Michele Catalano explains why she’s a Packers fan even though she lives in New York.